Jack Risk provides free one-hour sessions of qigong. 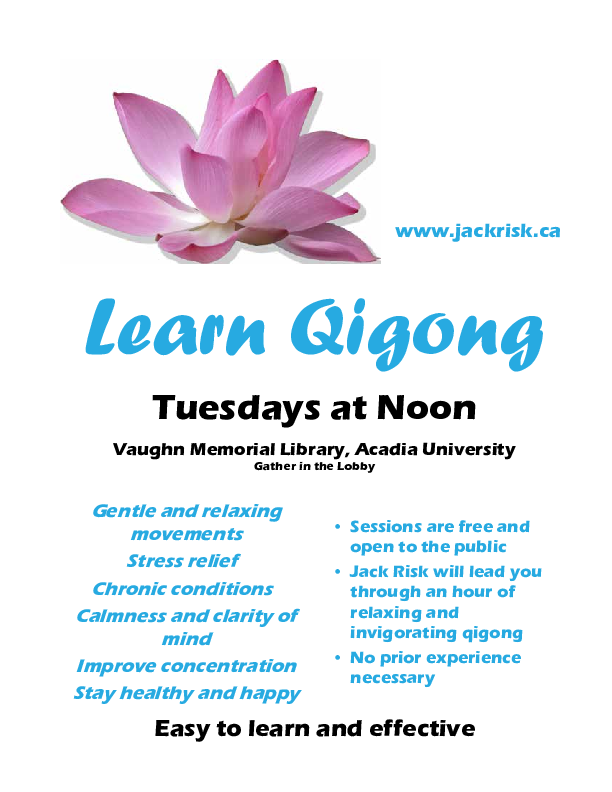 Come and learn some of the easy-to-learn movements and discover what qigong can do for you. Qigong lowers stress, relieves many chronic conditions, boosts immunity, calms the mind, and more. Jack Risk is a qualified and experienced instructor. He also teaches meditation. Gather in the lobby of the Library.